Mycobacteriosis is a chronic or acute, systemic, granulomatous bacterial disease that occurs in aquarium fish. It is a gram-positive bacteria of several species. 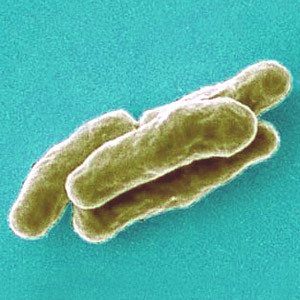 The two most common species are Mycobacterium marinum and Mycobacterium fortuitum. Other species known to cause mycobacterial disease in fish include Mycobacterium chelonei, Mycobacterium neoaurum, Mycobacterium simiae, Mycobacterium shottsii, Mycobacterium peregrinum, ycobacterium scrofulaceum, Mycobacterium szulgai, Mycobacterium interjectum and Mycobacterium scrofulaceum. Mycobacterium shottsii, is the type most commonly associated with the current outbreak of mycobacteriosis among striped bass in Chesapeake Bay. M. shottsii was first identified by VIMS scientists in 2001, and is present in 76% of infected bass. Some infected striped bass from the Bay are also known to harbor multiple mycobacterial species. Other mycobacteria recovered from Bay bass include M. peregrinum, M. marinum, and isolates resembling M. scrofulaceum, M. szulgai, M. interjectum, and M. simiae. Fish TB (Fish tuberculosis), NTM (nontuberculous mycobacteria), piscine tuberculosis, acid-fast disease, Mycobacteria, granuloma disease, wasting disease, fish tank granuloma and Myco. Yes, it is believed to be the number one most common disease found in pet shop fish. The other is a parasite called Ich. Yes, it can quickly spread to all other fish in a tank or via water droplets on hands, instruments, etc. into other tanks. It can also infect aquatic reptiles like Turtles or snakes. It appears that Guppys, Neon tetras, Discus, Gouramis and other labyrinth air breathers are especially susceptible to this bacteria. It can also infect humans. As this bacteria is found everywhere, it is likely you already have fish infected to at least a small degree. But the animal can usually can fight it off with a healthy immune system and good water quality in the tank. Allowing water conditions or diet to deteriorate causes the fish's health to fall and the bacteria population rises to a point where the fish can no longer fight it off and then it makes its visible appearance. Visible symptoms are take a long time to occur (typically several months) are varied and often misdiagnosed as other bacterial diseases. Affected fish can be anorexic, emaciated, listless and often lethargic; they may separate from other fish and seek out a corner of the tank to die. Lumps, skin lesions, ulcerations or haemorrhages can occur following rupture of an internal muscle. But these are less common. Additional signs may include bulging eyes, abdominal bulges and skeletal deformities, for example spinal curvature or stunting defects and pale gills. The fish may develop Fin Rot and/or Tail Rot. Fading of pigmentation is also common. It breaks down the immune system therefore making the fish far more susceptible to catching other diseases. The disease is characterized by very rapid morbidity and mortality with few clinical signs, often overnight. It also appears identical to a vitamin E deficiency in a fish. This bacterial infection is very hard to cure due in part to its general high resistance to antibiotics, its very slow reaction to them and its ability to lie dormant for many months during which time antibiotics can not harm it. Applying antibiotics tends to only kill off the surrounding less hardy bacteria allowing more room for Mycobacteriosis to grow and thrive. Passing the tank water through a UV device seems to kill equally all types of bacteria therefore helping to keep the number of Mycobacteriosis cells down. Though it will not eliminate the bacteria within the infected fish. Quarantine all new fish and treat with antibiotics or a gram-positive bacterial treatment for several months. Starve the fish for 2 days before moving to the main aquarium to ensure it is not gut loaded with bacteria. Use a quarantine tank with a UV steriliser device. Keep the tank in a natural soil-based substrate with large numbers of other bacteria keeps the growth rate of Mycobacteriosis down. See Walstad tank and Competitive Exclusion. There is no sure cure for Mycobacteriosis. Any treatment is long and expensive. Kanamycin powder at 1/4 teaspoon per 76 Litres (20 US G.) and Isoniazid at one tablet per 38 Litres (10 US G.). You need to do a water change (25% minimum) every 3 days (important) and replace the amount of antibiotic removed. So if you did a 50% water change you add back a 50% dose. This regimen takes between 20–50 days. If antibiotics are not available then only removing, euthanasia and clean disposing of the sick fish and then use a UV light on the water can kill it and keep its numbers down. A combination of antibiotics (e.g. doxycycline and minocycline) has been used to treat high “value” fish, but with limited success. Mycobacteriosis is a slow growing aerobic hardy bacteria (it takes 15 hours to double in population) that often seems to creep up on new fish owners unaware. It can take several months to show itself in a fish. Thus the usual one week quarantine provided by most distributors or fish shops is ineffective. It has a thick protective coating which makes it unusually tough to kill with antibiotics or chemicals like malachite green or chlorine/bleach. 200ppm of Chlorine for 30 minutes is the recommend dosage to disinfect a bare tank and equipment. Once the bacteria is established in a tank, it is hard to kill as it develops a thick protective bio-film and so whilst adding chemicals, to (for example a quarantine or breeding/fry raising) a tank will kill other types of bacteria, this bacteria will thrive in these clean conditions as there is now no other competing bacteria to fight over resources like fish waste or food particles. (See Competitive Exclusion). This bacteria slows its growth, the hotter it gets. At 35-45°C (95-113°F) it stops growing. But does not die. Boiling infected equipment for 10 minutes will eliminate it. Treatments using Silver Proteinate (Protargol) are not effective. ↑ paper: Beran V, Matlova L, Dvorska L, Svastova P, Pavlik I (2006) - Distribution of mycobacteria in clinically healthy ornamental fish and their aquarium environment. Journal of Fish Diseases 2006 Jul;29(7):383-93. ↑ Diana Walstad on treating fish with Mycobacteriosis. ↑ Dr Peter Burgess, Senior Consultant, Aquarian® Advisory Service (AAS) (part of Mars Fishcare). Mycobacteriosis and wasting disease in guppies by Dr Peter Burgess, Senior Consultant, Aquarian® Advisory Service (AAS) (part of Mars Fishcare). This page was last edited on 22 March 2018, at 14:51.